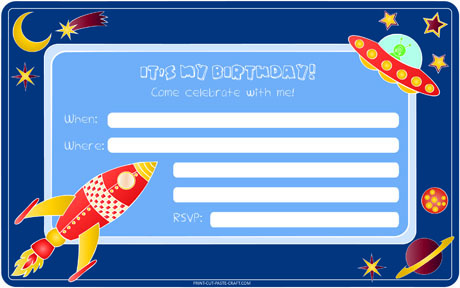 Space Themed Birthday Invitation | Print, Cut, Paste, Craft! 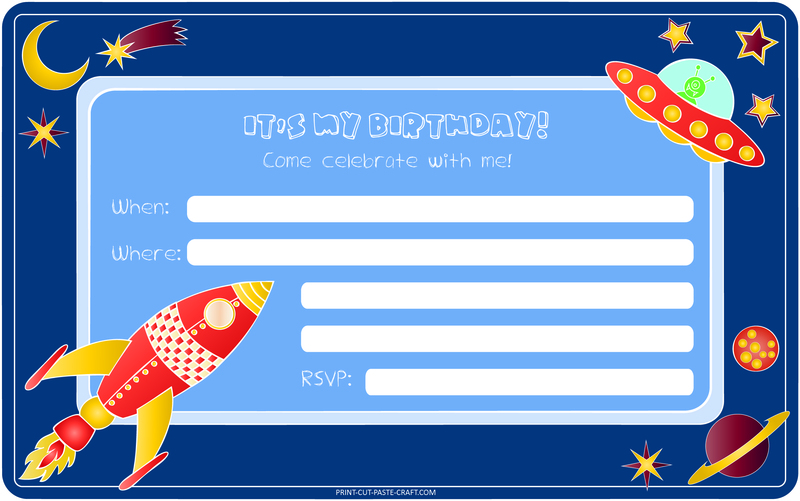 I thought it would be nice to reuse the space elements to make a cute space themed birthday invitation! Download the free hi-resolution jpeg here (300dpi) and print it on cardstock. The size is 5×8 so use standard greeting card envelopes. Remember, it is for personal use only!